Police are seeking Ronald Dorsey, 27, for his suspected role in the Aug. 23, 2014, killings of two women in the city's Tacony neighborhood. Officers were confronted with a grisly scene at a home on the 4700 block of Vista St. in Northeast Philly's Tacony neighborhood on Aug. 23, 2014. That evening, 15th District officers responding to a radio call of a "report of gunshots inside of a residence," found the brutally slain bodies of two women, Dollie Evans, 67, and Ruby Thomas, 57. 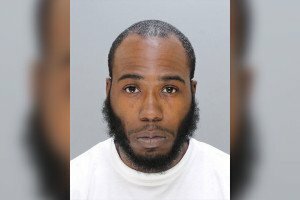 One suspect, James Mears, was arrested and charged a few days after the killings, and more recently, Philadelphia police identified a second suspect – 27-year-old Ronald Dorsey, of the 1100 block of E. Upsal St.
At the crime scene, investigators found Evans dead on a living room couch with a gunshot wound to the head, police said. Thomas' body was found in a second-floor bedroom. She had been strangled with an electric cord and shot in the head, police said. Just three days after the women's bodies were found, officers arrested Mears, 25, of the 6600 block of Gillespie St., and charged him with two counts of murder, robbery, conspiracy, violation of the uniform firearms act and related offenses. Law enforcement officials on Wednesday said an "unrelenting investigation" led to police issuing an arrest warrant for Dorsey on Feb. 24. Police said Dorsey should be considered armed and dangerous. Anyone with information on Dorsey's whereabouts can contact homicide unit detectives at (215) 686-3334/3335 or call 911.